The housing market peaked somewhere in 2006 and were beginning to see some of the early signs of trouble when some of subprime loans started to go into default. The Housing Market Crash of 2007 was the worst housing crash in U.S. history. It also was the cause of the financial crisis. This nearly caused the U.S. to experience another depression like the Great Depression. Are we about to embark on this folly again? Even though again they see no signs of this happening yet, that's what they said last time and by then it was to late. A tactic that helped define the height of homebuying madness in the U.S. in the years before the market collapsed is rearing its head again. Home flippers, who buy homes as a speculative bet on short-term price appreciation, accounted for 6.1 percent of U.S. home sales in 2016, according to Trulia, which defines a flip as a property sold twice in a 12-month period in arm’s-length transactions. 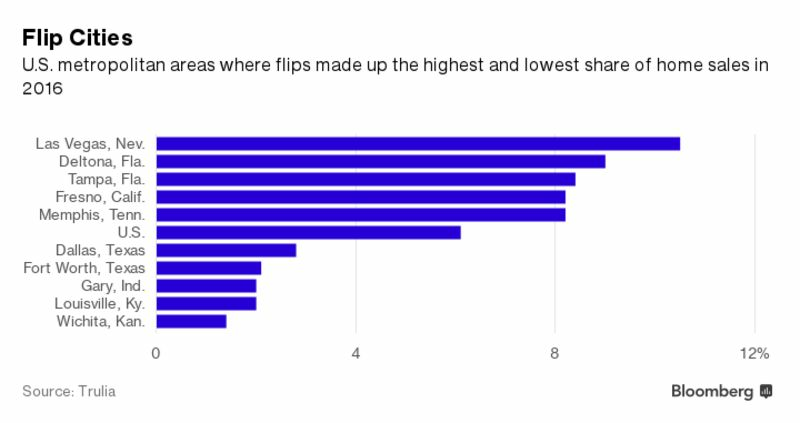 That’s the highest share since 2006, when flips accounted for 7.3 percent of sales. 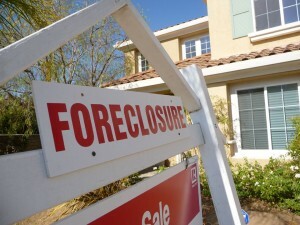 Flipping has made a strong comeback in cities that were battered by the foreclosure crisis. That includes Las Vegas, where 10.5 percent of 2016’s sales were flips, the highest in the country, as well as Tampa, Fla., and Fresno, Calif. Eleven metropolitan areas, including Memphis, Tenn., and Atlanta, had flip rates that reached 17-year highs, according to the Trulia data. Flipping has become more common as home prices have increased, said Ralph McLaughlin, chief economist at Trulia. Whether that’s cause for concern is an open question. Local housing market investors can bid up prices in a speculative frenzy, as recent history has shown. When flippers crowd into a market, meanwhile, they compete with buyers seeking a home to live in, deferring the availability of listings and pushing homes out of some buyers’ price range. But flippers can also provide a valuable service to the housing market by investing in needed improvements that owner-occupiers might not have time for, McLaughlin said. Trulia’s report shows that flippers in Las Vegas are seeking building permits at the highest rate since 2000, suggesting that they’re making substantial repairs and not simply buying homes to ride local price appreciation. "Is the market going to flip out again?" he said. "I don't think the signs are there yet."